Replaceable atomizing heads for use with the 3M™ Spray Gun Model HG14. 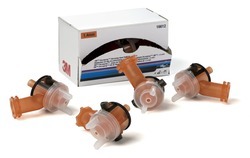 3M has an extensive line of spray equipment. Formerly known as Accuspray.